Last Chance to be Included in Membership Connections! 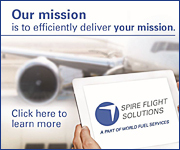 The 2016 Farnborough International Airshow is quickly approaching, and ISTAT is offering two members-only events that will provide you with opportunities to network, conduct business with ISTAT members and colleagues from around the world, and enjoy the special amenities exclusively available for ISTAT members and guests! ISTAT members are welcome to reconnect with each other at this private reception. All active ISTAT members are invited to bring one guest. Registration is required and closes Friday, 8 July. With comfortable seating, air conditioning, refreshments and excellent airshow views, the ISTAT Chalet is the best way for members to experience Farnborough. The Chalet is reserved solely for business and trade Monday, 11 July - Thursday, 14 July. Members are permitted to bring up to two guests per day for the trade days. Your family and friends are invited to join us in the Chalet for Family of the Trade Days on Friday, 15 July and Saturday, 16 July. Members are allowed to bring up to five guests on these days, including children. Registration is required and closes Wednesday, 6 July. Registration for ISTAT Europe, set to be held 25-27 September at the Hotel Arts Barcelona, will be open in early July. Housing will also be available, but you must be registered to secure housing for the event. ISTAT Europe will provide members opportunities to network and create new, lasting business connections with over 1,000 delegates. Look for more information as it becomes available in the coming weeks. Save the date for the next ISTAT Latin America Forum in 2016! This year's event will take place on 9-10 November at the Hilton Panama. Look out for additional information and registration details in the coming months. In an effort to keep our members well informed on our financial status, the ISTAT Board of Directors is pleased to make available our audited 2015 financial results. A complete copy of our 2015 audited financial statement is held on permanent file at ISTAT headquarters and is available upon request to the ISTAT Executive Director for review by members in good standing. The ISTAT University Online Program starting in October of 2016 is available to qualified students enrolled in universities and colleges around the world by way of a distance learning, web-based course offering. The online version of ISTAT U will feature the same curriculum taught in the on-campus course, including topics such as: aircraft leasing, aircraft leasing, risk management, aviation legal framework, aircraft funding, maintenance reserves, lease negotiation, and transaction modeling. The deadline to submit applications for the October program is 1 August, 2016. To learn more, please visit www.istat.org/istatu. Since 2006, the ISTAT Foundation has awarded nearly $700,000 to 37 non-profit organizations around the world through the Grants Program. The 2016 grant recipient organizations will be announced later this month. Click here to learn how two 2015 ISTAT Grant recipients - Irish Aviation Students Association and Pathways to Aviation – are fostering the future of aviation. The Ambassador Program initiative was created to streamline university outreach and provide cohesiveness among Foundation initiatives. Ambassadors are ISTAT members that build 'client' relationships with universities via phone calls, email correspondence, and in-person visits. To learn more, please contact Kristen Chmielewski at istatambassador@istat.org. 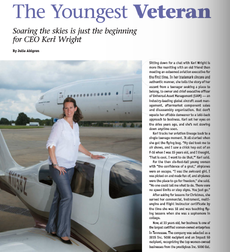 Sitting down for a chat with Keri Wright is more like reuniting with an old friend than meeting an esteemed aviation executive for the first time. In her trademark sincere and authentic manner, she tells the story of her ascent from a teenager seeking a place to belong, to owner and chief executive officer of Universal Asset Management (UAM) — an industry-leading global aircraft asset management,aftermarket component sales and disassembly organization. But don't equate her affable demeanor to a laid-back approach to business. Keri set her eyes on the skies years ago, and she's not slowing down anytime soon. 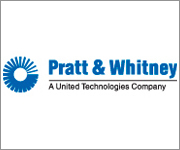 Shipping in August, our popular "who’s who" guide lists member companies alphabetically and by product or service. It is available in both a print and digital format, making it easy for members to reference year-round for their purchasing decisions. The last day for ad submission is June 22. Space must be secured now to ensure we have room for your ad. For more information about including an ad in this year’s directory, contact Erik Henson at +1.352.333.3443 or ehenson@jetrader.org. You can also request a media brochure. To receive more than 20 percent off our best available frequency rates, participate in all of our media options: Jetrader magazine, ISTAT UPdate monthly eNewsletter, and our annual directory, Membership Connections. Click here to view our integrated media bundle packages. Advertising space is now available in the Fall issue of Jetrader magazine. 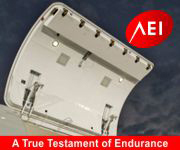 Beyond our normal distribution to all ISTAT members in both print and interactive digital editions, this issue will have significant bonus distribution inside the ISTAT Chalet at the Farnborough International Airshow this July. For year-round access to ISTAT members, please reference the advertising opportunities available through ISTAT and Jetrader by clicking here, or by contacting: Erik Henson, Jetrader media director at +1 352-333-3443 or ehenson@jetrader.org. We are now accepting article submissions for the Summer issue 2016 on the various stages of the aircraft lifecycle. This includes articles on new aircraft development, state of the lease market and part-out/dismantling/recycling trends. If you are interested in sharing your expertise and contributing to the content of Jetrader, please contact ISTAT at istat@istat.org. Time A Russian state-owned aircraft manufacturer unveiled a new mid-range aircraft Wednesday deigned to compete with Airbus and Boeing. The Irkut Corporation, part of the state-owned United Aircraft Corporation, unveiled the MC-21-300 airliner at a ceremony in Siberia attended by Russian heavyweights including Prime Minister Dmitry Medvedev. The aircraft has a range of approximately 4,000 miles (6,400 km) and will compete with the Boeing 737 and Airbus A320. International Business Times India, currently the world’s ninth-largest market for airlines, announced a new aviation policy Wednesday, a move that is likely to bring cheer to foreign airlines looking to enter the lucrative market. Among other things, the new rules ease requirements for airlines to fly international routes and the policy envisages increasing the domestic network significantly in the next three years. Aviation Week Just like the superhero Thor, Airbus’ latest innovation of the same name is a mighty creation. Made using addictive manufacturing (AM), the mini plane is the world’s first 3D printed aircraft and the OEM showcased its latest innovation at the ILA Berlin Air Show 2016. Sporting a windowless, plain fuselage weighing just 21 kilograms and measuring less than four meters in length, THOR (Test of High-tech Objectives in Reality) has already made quite the mark on the industry and demonstrated exactly what can be achieved through 3D printing.